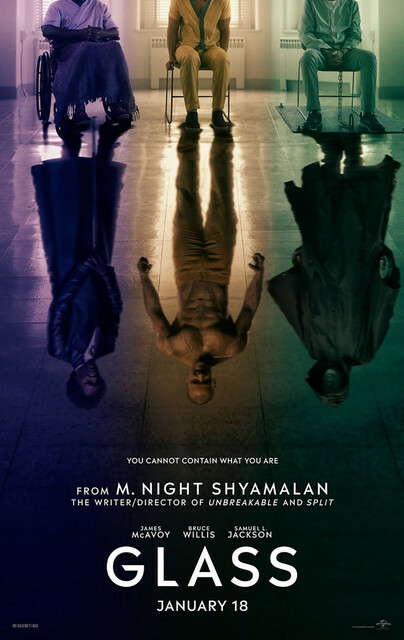 Teaser Trailer Arrives For M. Night Shyamalan’s GLASS! Get ready as M. Night Shyamalan prepares to bring us the narratives of UNBREAKABLE and SPLIT in one upcoming thriller titled GLASS. The upcoming film will star Bruce Willis, James McAvoy, Anya Taylor-Joy, Sarah Paulson, and Samuel L. Jackson as Mr. Glass. The movie will have a presence at the San Diego Comic-Con next month as the panel is scheduled to happen in Hall H, July 20th. The trailer is supposed to arrive this Friday but today we bring you a teaser video which you will find below. GLASS is a production of A Blinding Edge Pictures and Blumhouse and will be released by Universal Pictures in North America January 18, 2019.